The included Waves plugins are provided as a download once you register your product. Next, login to your m-audio.com account (or create one). Once logged in to your m-audio.com, go to your My Account page and click Register Product. On the next screen, select your product from the drop down menu. 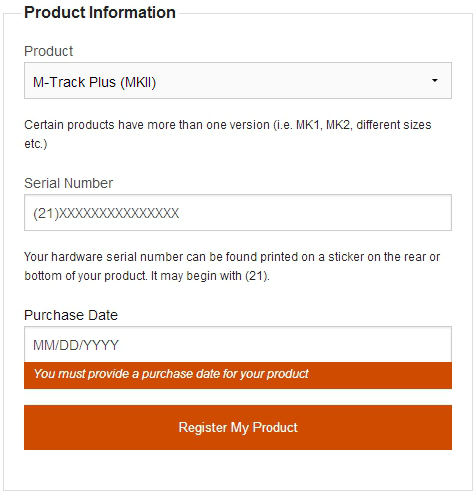 Be sure to select the correct product; either M-Track (MKII), M-Track Plus (MKII), or M-Track Eight. Your serial number is found on the bottom of the M-Track beginning with (21) followed by 15 characters. Enter the Purchase Date in the MM/DD/YYYY format. Once you have filled out the required fields, click the Register My Product button to complete your registration. 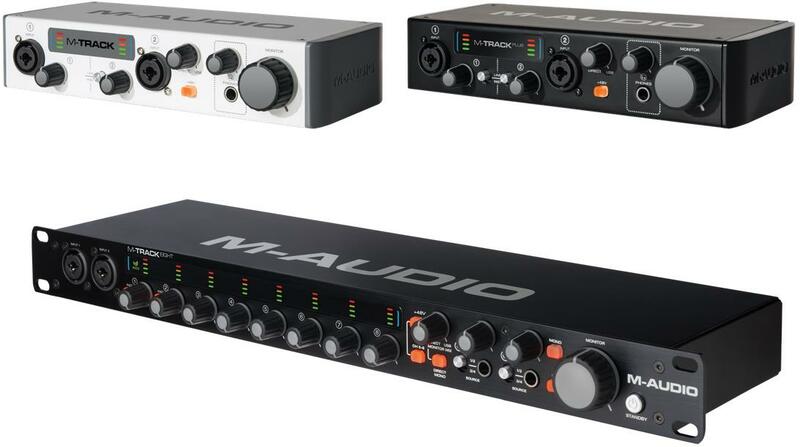 You will now be directed to the My Products page and should see your M-Track series product listed along with the included Waves plugins and their serial numbers. Take note of the serial numbers, as you'll need them later to download the software. Click Download AudioTrack from Waves to begin. You will be directed to the Waves website log in page. If you do not already have a waves.com account, click Create New Account (requires email confirmation). Or, log into an existing waves.com account. After creating and/or logging into your account, you'll have several options on your main page. Select REGISTER NEW PRODUCTS. Enter the AudioTrack serial number that you were provided on your M-Audio account page (step 5), then click SUBMIT. You'll see a pop-up window confirming your serial registration. Click CLOSE. Now repeat this serial number entry for all of the other Waves product serial numbers you have. 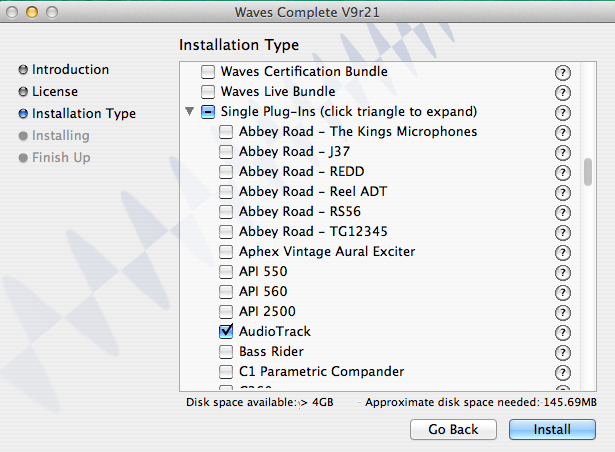 In the My audio computer is online section there are specific instructions for the Waves download and installation process. 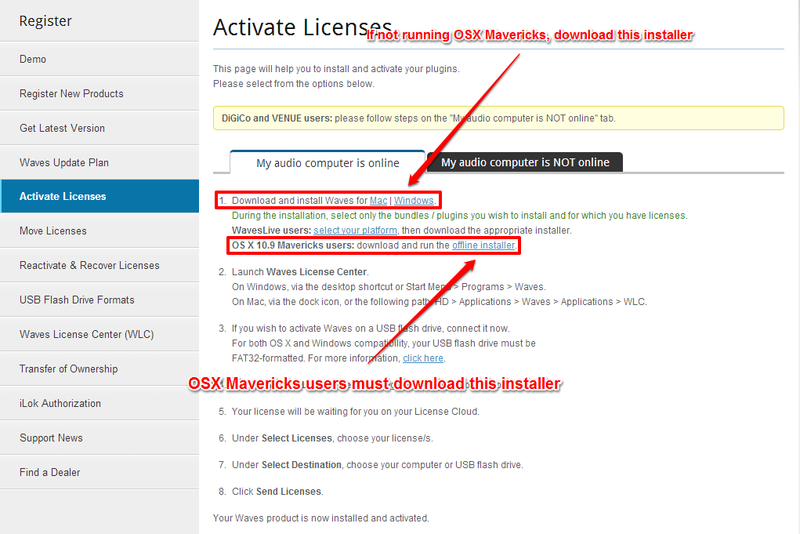 The first step provides links to download the Waves License Center installer. Download and run the appropriate "WOLI" installer program. The Waves InstallShield Wizard will allow you to install ANY Waves product. You'll only want to install the plugins you've registered. When prompted, scroll down to the Single Plug-Ins section and check the boxes for only the plugins you received in your M-Audio account. On Windows, click Next and confirm that you've selected the proper Single Plug-Ins. Click Next once more and click Install to begin. On a Mac, simply click Install after you've selected the proper plugins to begin. Allow the installation to complete. On Windows, click Finish when prompted. On a Mac, click Quit when prompted. 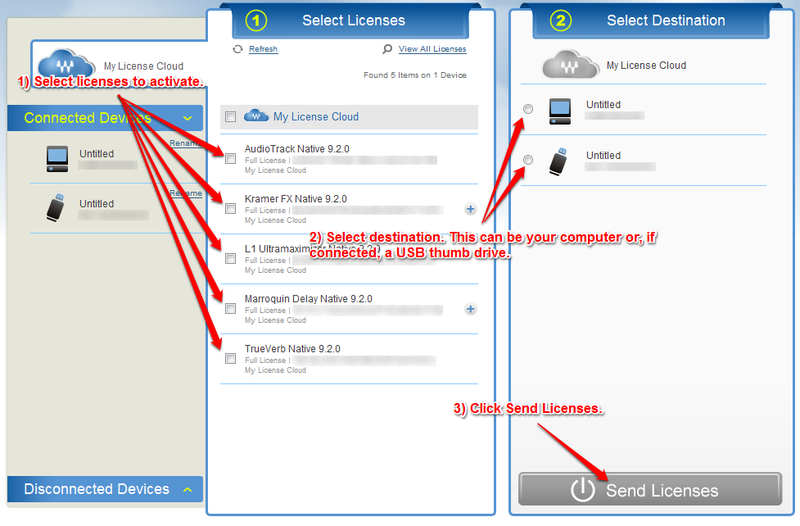 Upon opening the Waves License Center, enter your Waves login information (the same as you did on Step 6). You will now see all of your registered Waves licenses in the Select Licenses column, and available places to hold these licenses in the Select Destination column. You can deposit your licenses onto your computer or a USB thumb drive. 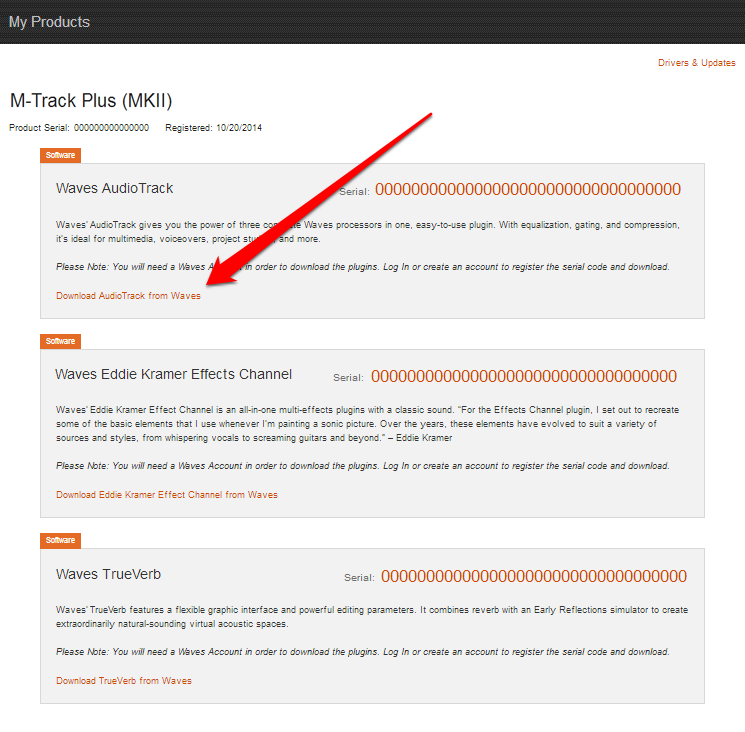 Check the boxes for AudioTrack, Kramer FX, and TrueVerb in the Select Licenses column. Select where you'd like to deposit them in the Select Destination column. Then choose Send Licenses. The Waves License Center will synchronize these licenses shortly, then confirm that they were sent successfully. Once your Waves product disappear from your Select Licenses column, the process is complete!